May 23-26, 2019, Blackwood, Victoria. 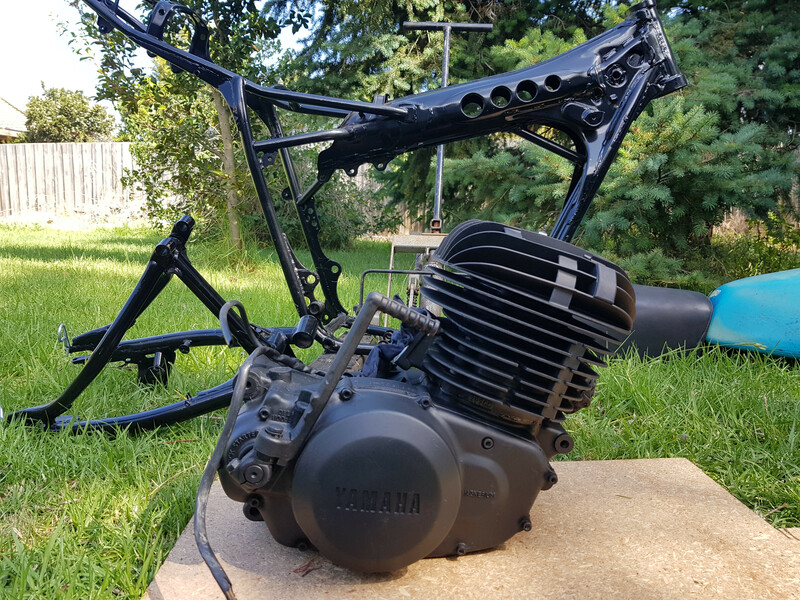 Our aim: To run a vintage friendly event suitable for older bikes and riders, to determine the best in class through special tests and the ability to maintain an old motorcycle and ride to predetermined time schedule between checkpoints. The Course: Limitless trails. Interesting but not intimidating. 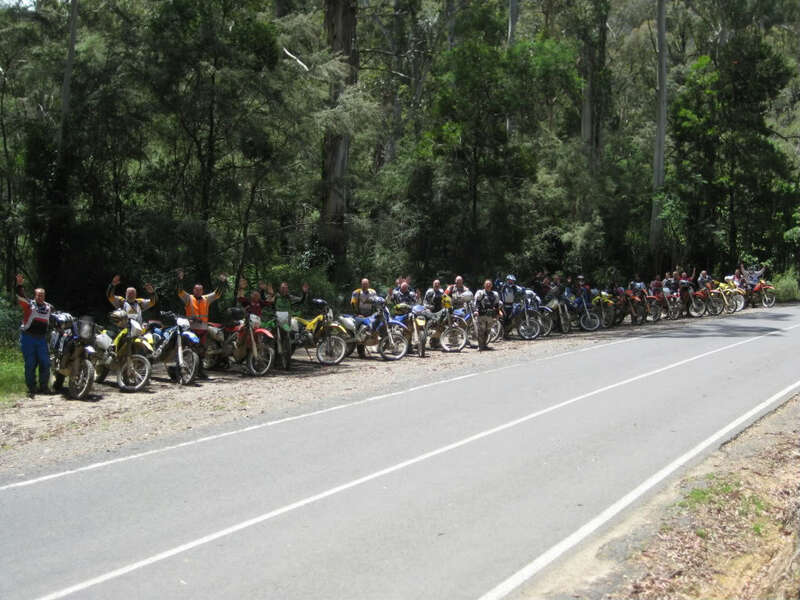 Talk to someone who rode the recent Blackwood Vinduro, this loop will be loop 1 Day 1 – the riders loved it. 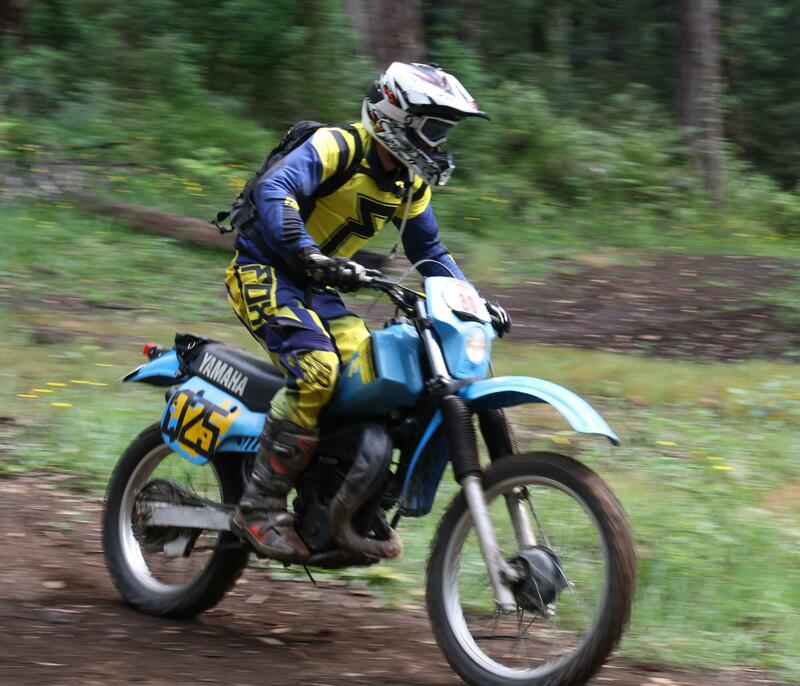 This event will consist of four different loops of approximately 50km that will take you into all the different zones of the diverse Wombat forest. You will ride through fern gullies with deep black soil, crest hills with stunted dry bush that appears almost Alpine, skate over rocky trails worn in by miners from 100 years ago, travel under thick overgrown tracks with moss covered ruts, pass through wet rainforest glades with trees as tall as the eye can see, ease down the red clay rutted Power Line track, dodge around puddles that could still have a 4WD buried just under the water, roost around pristine grass track special tests on private land and then catch your breath on the well maintained forest gravel roads.We aim for you entrants to have a great time and enjoy your riding. We know you will love all the great trails we have found for you. Yes, there will be challenges but also parts where you can just click through the gears and cruise. We will be setting times that are right for the average rider, so they won’t have to go silly to stay inside their 60-minute late allowance. But in the special tests – go nuts! * V1 Pre-1976; all capacities, all ages. Competition classes: Refuel is at the Parc Ferme. If your bike won’t make 50 km provision will be made to take a fuel container out to the Special Tests which are about half way around the loops. Flip card timing at controls as well as digital clocks and special test timing with Richard Gates company (AORC, A4DE etc). There will be an Interstate 4-man Trophy Team Award and 3-man Club Team Award. 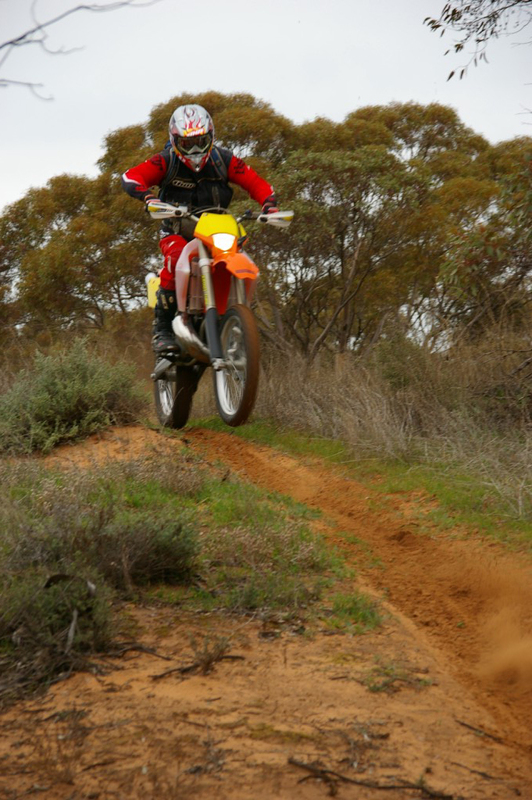 Rally class: Rally riders pay half the Expert entry and can nominate to ride 1, 2 or 3 days. Finishers medal only if riders complete all 3 days without houring out. 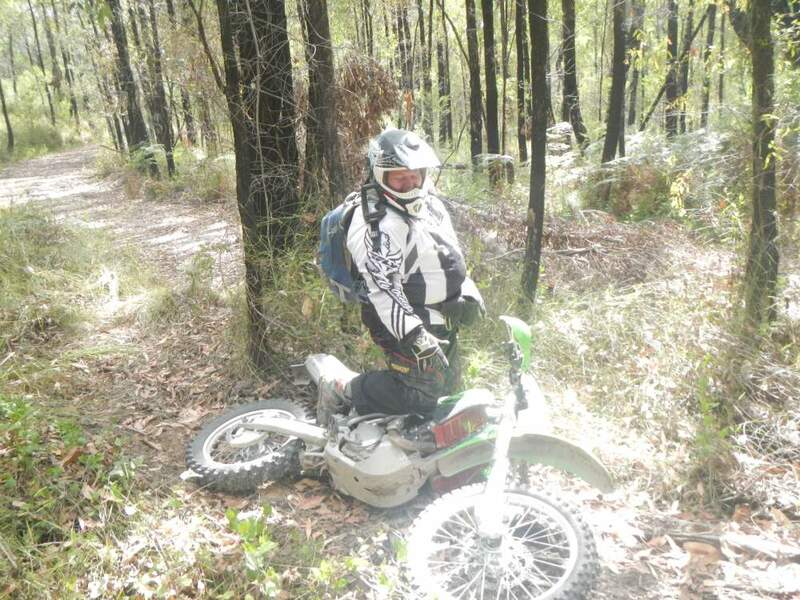 Rally Riders do not ride the special and diversions will be in place around the trickier parts of the course. Identification: Expert riders red number plate backgrounds, white numbers. Rally riders yellow, black numbers. Classes/age groups will be identified by number and letter. Thursday: scrutineering and sign in, sound check etc. Impound/Parc Ferme open to take bikes. Closed 5pm. Friday: scrutineering and sign in, sound check etc. Impound/Parc Ferme open to take bikes up until 10:30 when we have the riders briefing, 11am start in class order, 3 per minute. 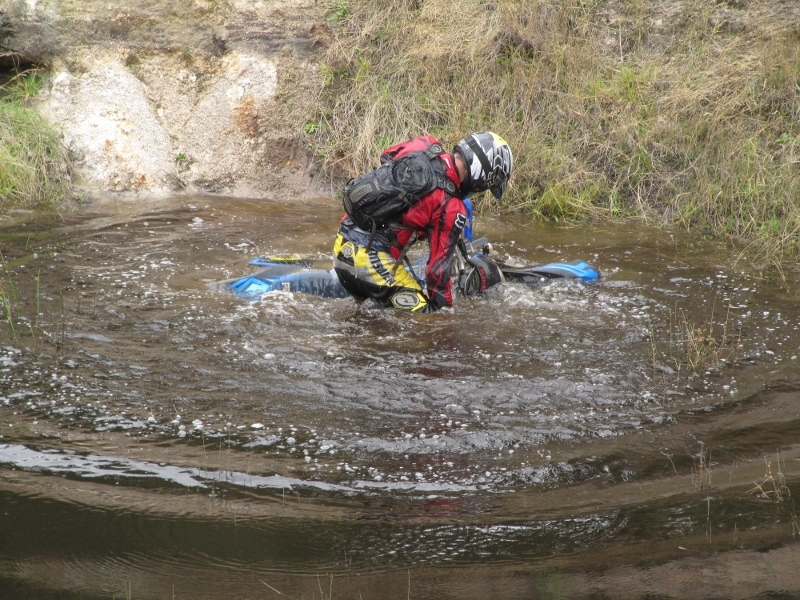 Riders cover two loops. Sunday: Start time 9am. 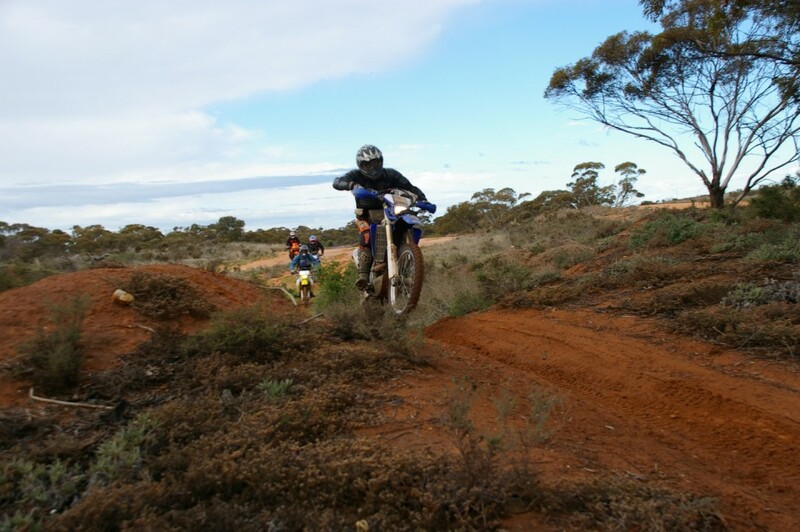 Riders cover two loops of 50 km (depending on the weather) and the Final Moto on top of that. The event finishes at the Final MX. Note, each morning between 8-9am there will be scrutineering for Rally riders who decide to enter for that day only. Headquarters: Cricket Oval Rooms, Recreation Reserve Rd, Blackwood. Parc Ferme: Tennis Court across from the Rec Oval. Services: Mobile phone coverage (Telstra only), the Blackwood Pub, Post Office/convenience store and the Martin St Cafe. No fuel available. Ballan is 25 minutes away, Trentham 20 mins, Greendale Pub 15 mins. 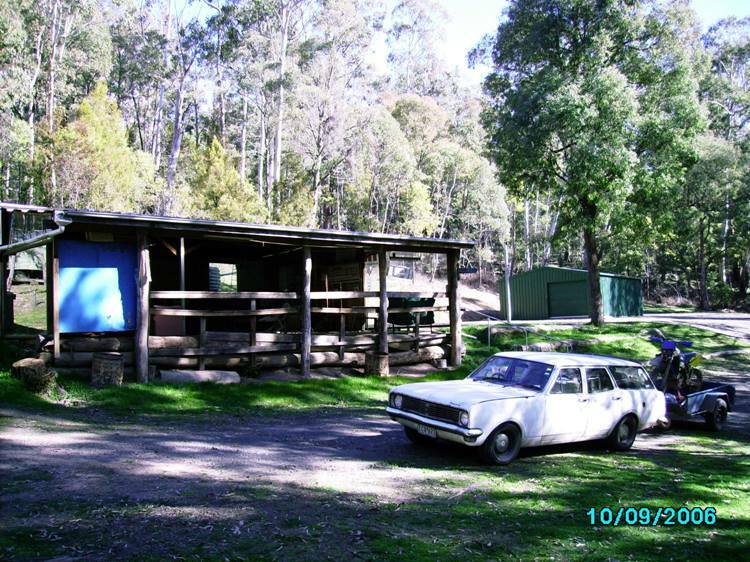 Accommodation: Blackwood Caravan Park 53686539. Private B&Bs & rentals available. Hotels in Trentham, Ballan and Kyneton. More information is available in the Supplementary Regulations. Please note: All details subject to change. Yes Wade, I'd guess he's a happy man.